This post is sponsored by Mike's Hard Lemonade, but the thoughts and opinions are my own. 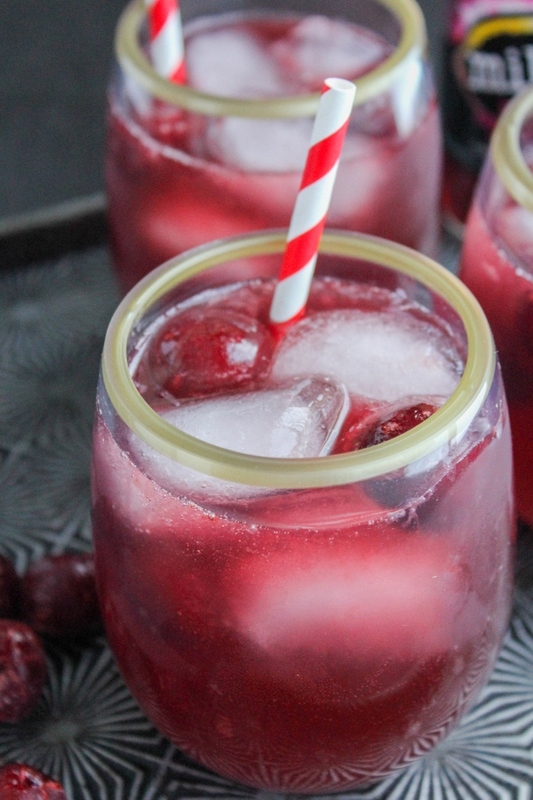 Crisp, light and refreshing, a Black Cherry Lemonade Cocktail is a bright and beautiful drink that's perfect for the holidays! We all know the holidays can be stressful, am I right? 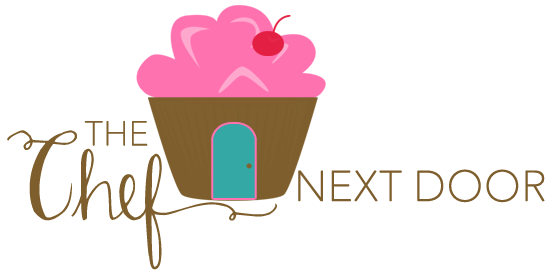 Decorating, shopping, wrapping, cooking...it all takes so much time! Now don't get me wrong, I love the holidays, but sometimes we just need a break. Time to sit back and relax, enjoy the sparkling lights on the tree, and have some "me" time. Usually the evenings are my time to unwind. I love watching sports or a movie with a big bowl of popcorn and a cocktail in my hand. 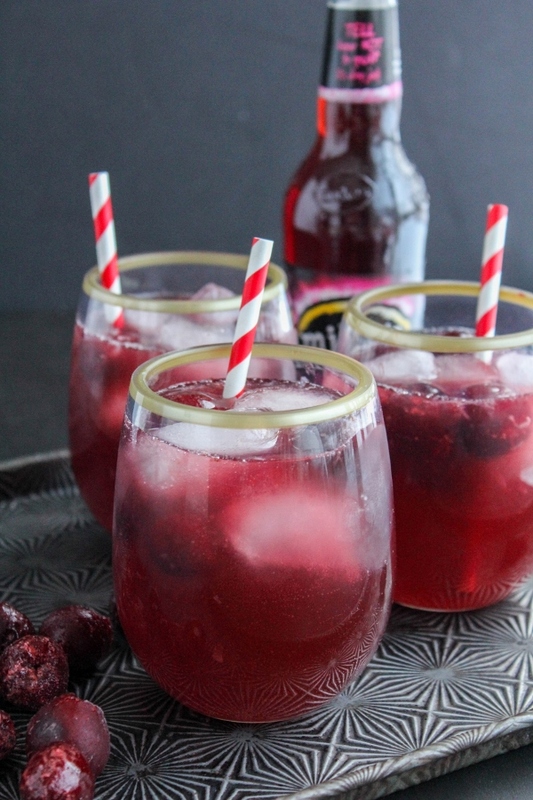 This Black Cherry Lemonade Cocktail has been my go-to drink lately and I'm so excited to share it with you! This cocktail is so flavorful and fun, plus it's crazy easy to make. Honestly, I absolutely love everything about black cherries. It starts with a Mike’s Hard Black Cherry 6-pk, which by itself is one of my favorites. 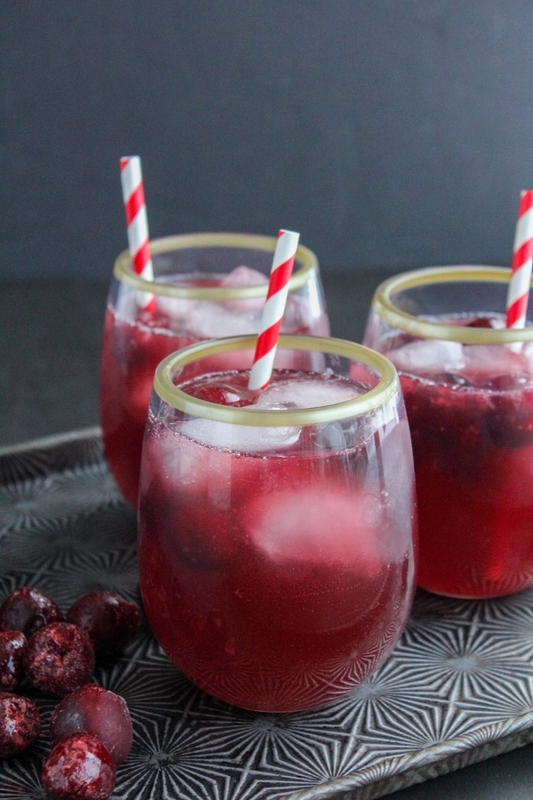 Add some lemonade, a little wine, and frozen black cherries and you've got one bright and refreshing holiday cocktail! Fresh cherries would be delicious as well, but since it's winter and they aren't available, frozen works equally as well. Enjoy a glass while you're wrapping gifts, sitting back to relax, or even serve at your holiday parties. 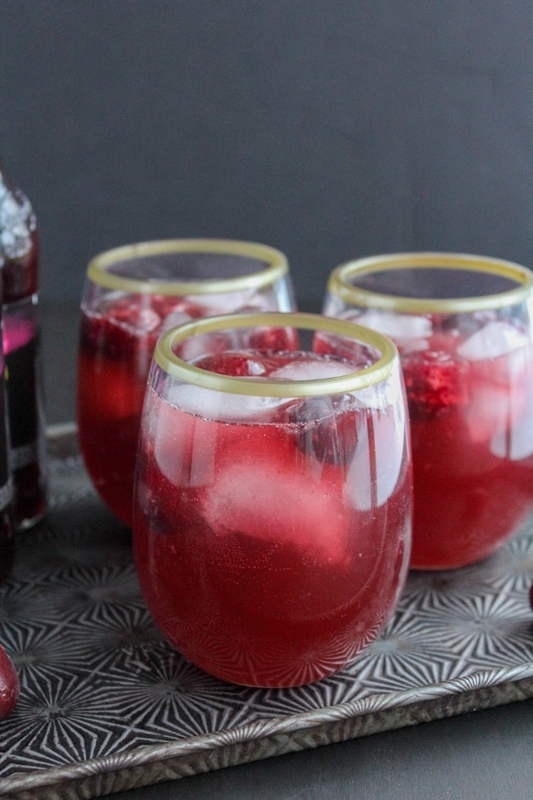 I'm hosting a holiday party soon, so I've got family coming over on Christmas Eve and Christmas Day...which means I'll definitely be serving this Black Cherry Lemonade Cocktail at each event! Crisp, clean and refreshing, it's definitely a crowdpleaser. The recipe I've included below makes one drink, but you can easily up the ingredients and make a big batch in a pitcher. Fill a cocktail glass with ice. 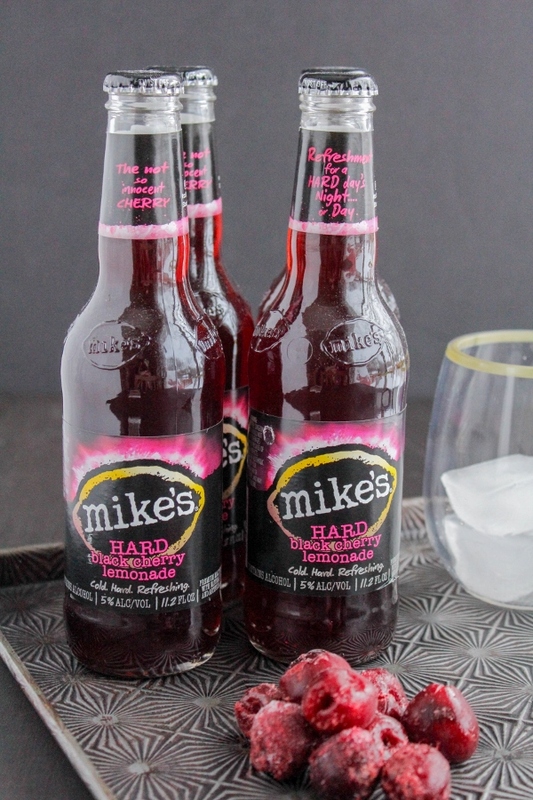 Add the Mike’s Hard Black Cherry, lemonade and white wine, then top with several frozen cherries. Stir and serve.